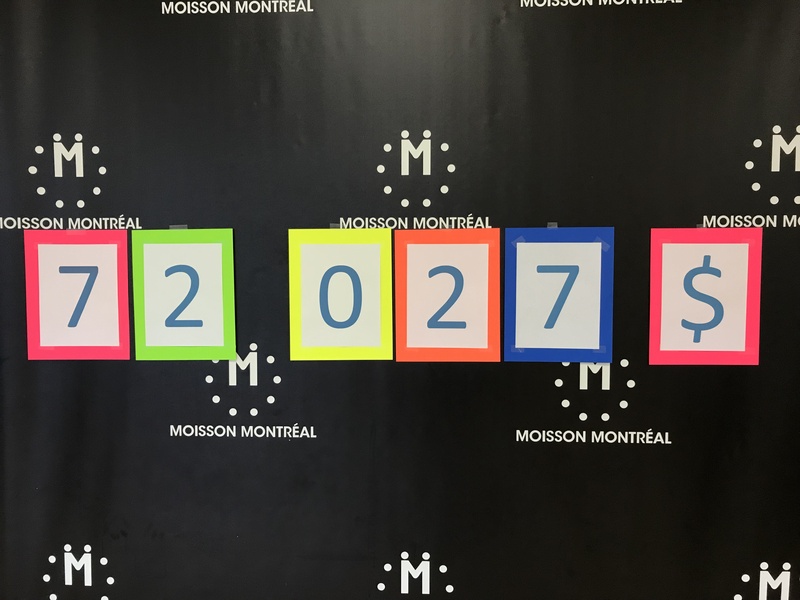 Montreal, August 17, 2018 – The generosity of Montrealers has enabled Moisson Montréal to raise $ 72,027 and to exceed its initial target of $ 60,000. This amount will allow the organization to redistribute the equivalent of $ 1,080,405 of food to Montreal families. The Hungry for Vacation campaign took place from July 9th to August 11th and was a reminder that hunger doesn’t take a vacation for many people, and during this campaign, the focus was on youth aged 3 – 17 years of age. Moisson Montréal’s accredited partner organizations are heavily solicited during the summer months, as families with children in school no longer have access to support programs offered by the schools. This 3rd edition of the Hungry for Vacation campaign was meant to provide the resources necessary to meet those increased needs and ensure that young Montrealers get the food they need during the summer holidays. “We are excited about the commitment and participation of Montrealers in this effort to feed our children. We thank all those people who make a difference and who have joined our social solidarity chain: the companies, the Malouf Family Fund at the Foundation of Greater Montreal and the general public. Together, we are giving our youth in need the means to aspire to a better future, “said Richard D. Daneau, Moisson Montréal’s Executive Director. We estimate that 39,000 young Montrealers between the ages of 3 and 17 rely on some sort of food assistance. Meanwhile, with the Feeding the Future Program, Moisson Montréal provided snacks or lunches for eight weeks to 11 summer camps located in disadvantaged areas of Montreal. It positively impacted more than 1,000 children every day. “It is essential for ASCCS that every child participating in the day camp has access to balanced meals and snacks. The service offered by Moisson Montreal helped us achieve this goal by completing the meal of some 60 children each week while promoting the adoption of healthy lifestyle habits “, said Chantal Comeau, Assistant Director of the Association sportive et communautaire du Centre-Sud.